U.S. Army Sgt. 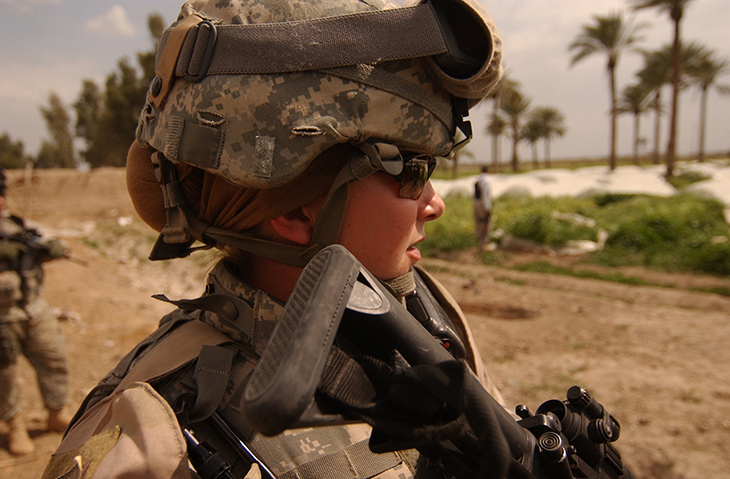 Ashley Hort keeps her weapon at the ready as she provides security for her fellow soldiers during a raid in Al Haswah, Iraq, on March 21, 2007. Hort is a team sergeant with the 127th Military Police Company deployed from Hanau, Germany. DoD photo by Spc. Olanrewaju Akinwunmi, U.S. Army. This week, women veterans from throughout Florida will meet in Tampa for the 2nd Annual Women Veterans’ Conference. The goal is to sign them up for available benefits and resources. Tarter said all women veterans should attend the free gathering even if they’re already signed up for VA benefits. “Because benefits change all the time and new benefits are added all the time,” Tarter said. There also will be workshops on employment, educational opportunities and vocational training. Florida has 160,000 women veterans and many have never applied for VA benefits. Helping women veterans apply for benefits is only part of the conference. Larri Gerson, claims supervisor with FDVA, will present a workshop on the VA benefits appeals process. The conference is free and open to women vets, their spouses and support. Online registration is available through the Florida Department of Veterans’ Affairs. 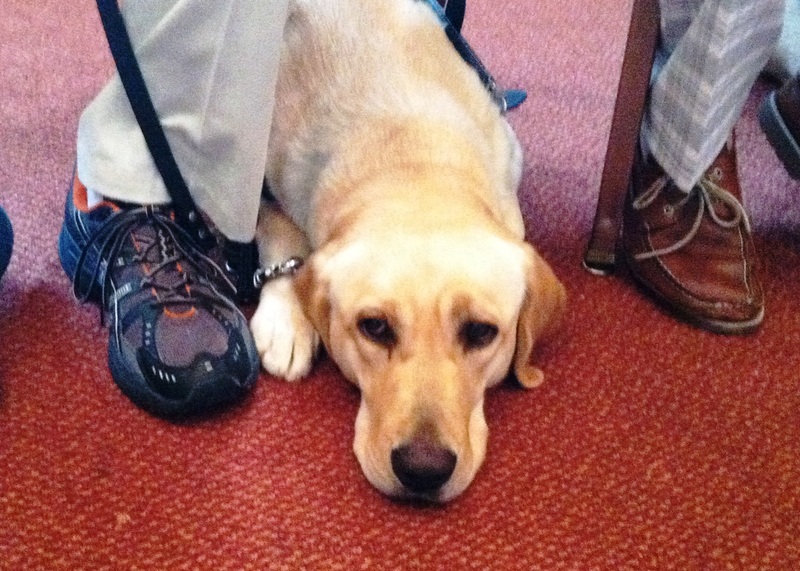 Part of the problem, Prendergast said, is that no one authority certifies service dogs and their training. And there’s inconsistency at the federal level on the use of service dogs for veterans with mental health issues like post-traumatic stress. Mike Prendergast, executive director of the Florida Department of Veterans’ Affairs, at a 2012 news conference in Tallahassee. Photo courtesy of Steven Rodriguez, WFSU. Prendergast plans to suggest to U.S. Secretary of Veterans Affairs Bob McDonald that the federal VA adopt Florida’s guidelines for service animals. He’s also pushing to put Florida on the cutting edge to handle future challenges that will confront veterans. As an example, Prendergast said the Florida Veterans Foundation, established by the legislature, funded hyperbaric oxygen treatments for a limited number of veterans with traumatic brain injuries or TBI. That is despite the fact that the pressurized oxygen treatments are not a recognized treatment for brain injuries and some consider it controversial. And he wants that frontier to start with Florida’s 1.6 million veterans. HB 185 – Creates a public records exemption for the identification and location of current or former active-duty U.S. Armed Forces service members, Reserves and National Guard who served after September 11, 2001 and their spouses and children. HB 801 – Adds a memorial to the Capitol dedicated to the 241 U.S. Armed Forces who lost their lives in the Beirut barracks bombing attack October 23, 1983. HB 277 –Motels and hotels are required to waive minimum age requirements for active-duty military, Reserves and Guard who present valid identification. SB 184 – Authorizes absent uniformed services voters and overseas voters to use the federal write-in absentee ballot in any state or local election. HB 71 – Updates on the use of service animals to include people with a physical or mental impairment that substantially limits daily activity; makes it a second degree misdemeanor to deny access to a service dog accompanying a person with disabilities or a trainer; prohibits asking about the nature of an individual’s disability in order to determine if the service animal is legitimate; makes it a second degree misdemeanor to misrepresent a pet as a service animal or to misrepresent oneself as a qualified trainer. SB 686 – Grants a property tax exemption to leaseholds and improvements constructed and used to provide military housing on land owned by the federal government. HB 225 – Requires the state to only purchase U.S. and other state flags made in the United States and from domestic materials. HB 1069 – Allows for the expansion of the Veterans Courts program under certain conditions. HB 471 – Allows vehicles with a Disabled Veterans license plate to park for free in a local facility or lot with timed parking spaces with some restrictions. 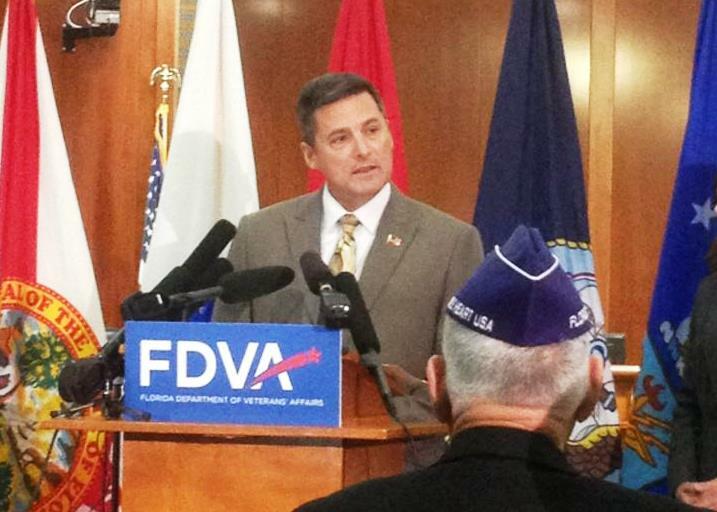 Information on the veteran-related legislation was provided by the Florida Department of Veterans’ Affairs. 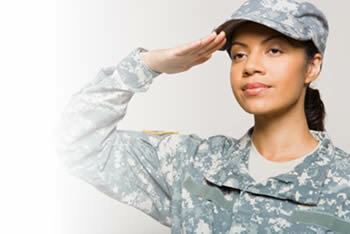 There are more than 160,000 women veterans living and working in Florida. “Many of them don’t even realize – they’re veterans. They feel they’re not recognized as veterans,” said Alene Tarter, director of benefits and assistance for the Florida Department of Veterans Affairs (FDVA) based at Bay Pines. Larri Gerson used to be one of those women veterans. 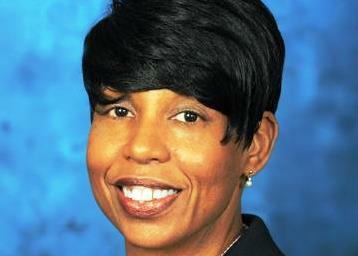 She now supervises benefits claims at the FDVA. “I didn’t know I was a veteran for 25 years because I didn’t grow up in a military family,” Gerson said. So, Florida is sponsoring its first Women’s Veterans Regional Conference, March 7 from 9 am to 1 pm, at the Veterans Affairs Regional Office, 9500 Bay Pines Blvd, St. Petersburg. Dr. Betty Moseley Brown is the scheduled keynote speaker. Navy veteran Cynthia Brown, a claims examiner and state women veterans’ coordinator, is organizing the conference around the current issues affecting women vets. “Employment issues, homelessness, mental health and obviously health care and benefits,” Brown said. One of those benefits rarely used by women is the government hiring preference extended to all veterans according to Jacquelyn Consentino, the FDVA veterans’ preference administrator. “Men use it. They use it all the time, but for some reason when the women fill out their applications they just glide over it and don’t seem to use it,” Consentino said. Consentino is one of several panelists who will field questions at the end during an open-microphone session. “What I want them to know when they come to the conference, I’m here to help them,” Consentino said. The conference is for women veterans only. “A lot of times services are geared towards men and their needs and their health issues. But for women, we have separate needs and health issues and this allows for a forum for us to come together,” said Chava Grier, a former U.S. Army military police officer. The keynote speaker is Dr. Betty Moseley Brown, associate director of the VA Center for Women Veterans of the U.S. Department of Veterans Affairs. 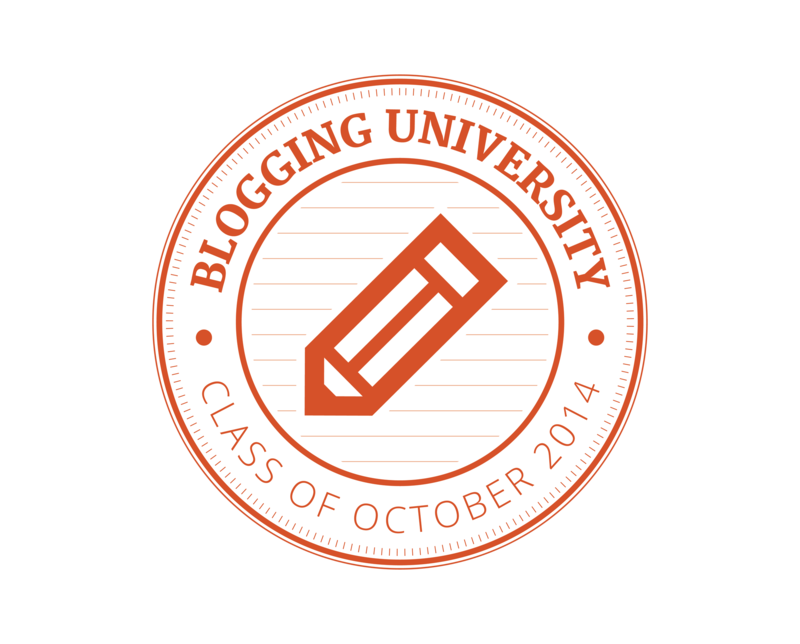 Online registration is not required, but it is preferred. You can find more information at www.floridavets.org and register here. Listen to the voices of some of Florida’s women veterans in a WUSF 89.7 FM news story. Florida has an estimated 142,000 women veterans and many likely had their eyes on the Pentagon this week. First, there was the deadline for the services to submit plans on how to integrate women into combat units or explain why women should remain banned. 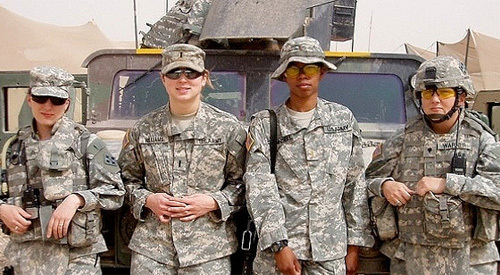 Many women already are serving in units exposed to combat but aren’t officially acknowledged. 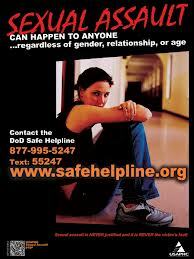 And there is more news related to the growing problem of military sexual trauma. We talked with an Air Force woman veteran, Larri Gerson, who now serves as a claims examiner with the Florida Department of Veterans Affairs and is a member of the federal, VA Advisory Committee on Women Veterans. “I’m glad to talk about how important right now the topic of military sexual trauma (is) because if we had this year 29,000 cases, they estimated suffer from military sexual trauma, that’s going to be too much to wait for next year to talk about it,” Gerson said. Recently allegations of sexual misconduct have been brought against two military members who are part of the military sexual trauma prevention programs. She said the issue of women in combat also is important but is being addressed over a longer period of time. Gerson provided several resources for women veterans and contacts. For Florida women veterans issues, contact Florida’s State Women Veterans’ Coordinator Cynthia T. Brown at brownc@fdva.state.fl.us. 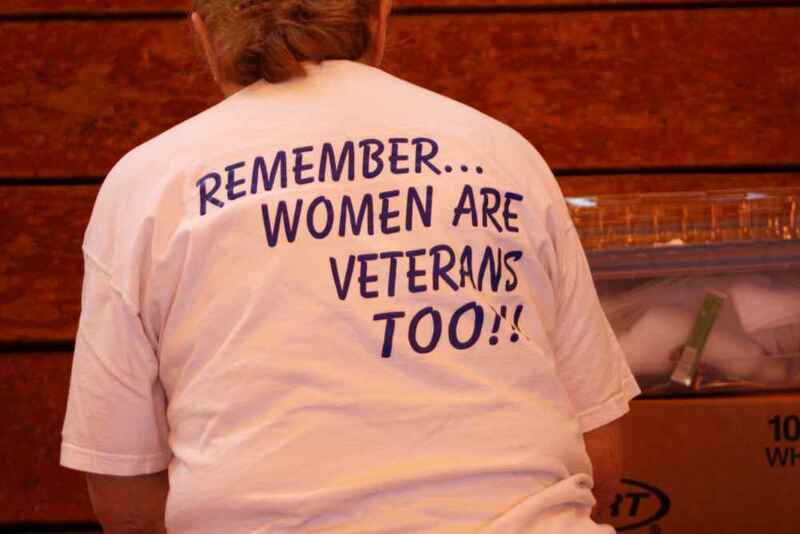 For national women veterans issues, contact Larri Gerson at gersonl@fdva.state.fl.us. She believes her frontline status – as a claims examiner and as a former women veteran coordinator for Florida – earned her appointment to the federal committee. “They wanted us women who are on the front-lines, the benefits front-lines, so that we can come up there and really speak to the problems that women veterans are facing around the country,” Gerson said. Gerson has already met in Washington with the 12-member committee. She listened and learned but also came prepared with some priority items. Her top issue is getting a full time women veteran coordinator for each state. She says only three of the 50 states have a full time coordinator to advocate and educate. However an under-secretary with the VA used statistics to argue that a women veteran coordinator in every state was not needed. She’s not given up on that issue and is bringing up others. Gerson doesn’t expect women veteran issues to be resolved overnight. She is just happy to be a member of an advisory committee and get the women’s issues before VA Secretary Eric Shinseki.